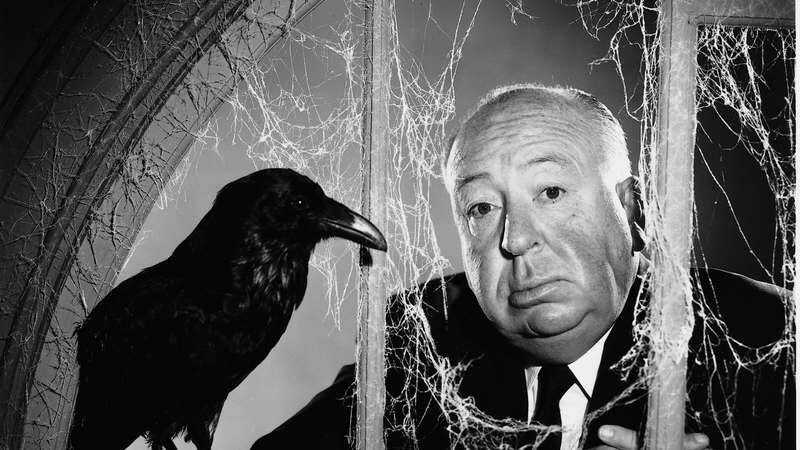 His eloquence and wit also made Hitchcock a valuable interview. The PBS Digital Studios series Blank On Blank recovers interview footage from notables like Frank Lloyd Wright, Jacques Cousteau, and Stephen King and pairs the dialogue with delightful accompanying animation. This latest installment from the Pacifica Radio Archives has Hitchcock chatting with Cullen Edwards in 1957 about his death-obsessed reputation, saying, “If I did a story about Cinderella, they would be waiting for the body to turn up.” He also comments on why he finds graveyards humorous and why making movies about fear appeals to so many people. You can enjoy this engaging chat along with many others at the series’ YouTube channel or the Blank On Blank website.